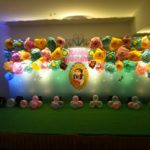 Memorable Celebrations is based in Hyderabad, we coordinate and plan all types of parties and functions of all sizes from this place. However, the majority of our consultancy work is based on-site, as we believe in a personal, interactive approach to our client’s relationships. Customer satisfaction is very important for us hence we always try to offer best services at reasonable and affordable prices. 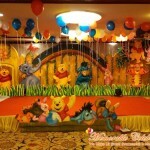 All the themes and designs we offer you are creative and innovative. We also take ideas from our clients and try to make new themes and designs for any kind of occassion. 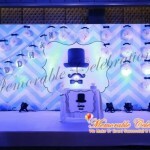 Memorable Celebrations with 7 years experience is your One-stop Event management company providing strategic and operational Event Management services throughout India for individuals, institutions and corporates by offering a wide range of specialized services. 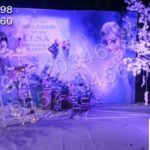 We are experts in Birthday party decorations, Cradle ceremony, Wedding Decorations and many more events like Corporate functions or Get-togethers, Naming ceremony, Saree & Dhothi ceremony, Reception sets. 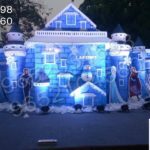 Memorable Celebrations is a professional event management group having a good team with excellent communication skills who will detail you about the activities we do. Our team ensures the smooth and efficient running of an event. Quality and Time Management are our strengths that drive us to give the best in conducting a grand celebration for any important occasion. Our belief is that each client is very special and he is our brand ambassador. 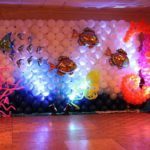 We work closely with you to create a unique event reflecting your taste, style and brand. Memorable Celebrations has developed into leading providers of event management, catering, equipment hire and corporate entertainment. For the growing needs of our clients we continuously identify new applications to meet the challenges and to cope up with the industry. We do facilitate everything from set design, catering and professional service staff, to event lighting and extraordinary discotheques. 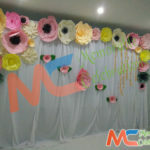 Most important thing for us is to make your event successfull and Memorable.